The easiest way to test your performances! CSR4U TOOL is a web tool dedicated especially to SMEs to approach CSR and business ethics principles. It is a results of an European funded research project called LOIEs. CSR4U TOOL let your organization to test your social, environmental and financial performances in an easy way. Try to test your performances! The data will be used only for academic purpose. You should test your organization behavior and support us doing the test. SMEs do CSR actions in a silent way. We want to energize their impact, stimulate awareness, stimulate social and environmental accounting and disclosure. 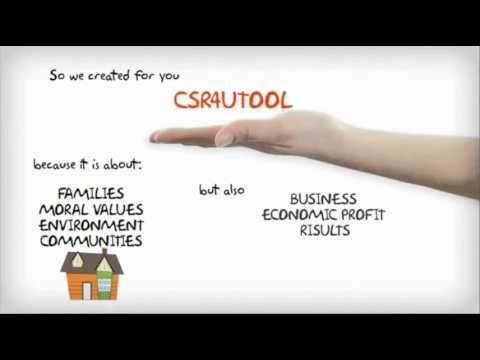 CSR4U TOOL is a web based tool. The main goal is to create shared knowledge towards CSR especially for Small and Medium-sized Enterprises. Try the test and watch the results! CSR4UTOOL test is a composition of several core questions in the field of CSR. If you are interested to evaluate your organization’s performances into social, environmental and financial areas or simply to understand the meaning of CSR, do the test! You can also decide to put a briefly profile of your organization becoming a tester. How my organisation can join the project? How can I use CSR4U TOOL? How long does the test? If I don’t agree with the results how could I send you my complaints? For what purpose the data will be used? Are there any fees or sunken costs? The content of this web page lies with the authors. It does not reflect the opinion of the European Union.